Karl Gerstner (1930-2017) was a Swiss graphic designer and a leading figure of Schweizer Typografie. He carefully divided his brilliance between being a painter and a graphic designer and became a pioneer in both pursuits. Gerstner’s influence on typography is significant to the history and theories of graphic design. In the 1960s, Gerstner studied at the Allgemeine Gewerbschule in Basle under Emil Ruder. Together with Markus Kutter, he founded the advertising agency Gerstner + Kutter in 1959, which subsequently became “GKK” after Paul Gredinger joined the agency in 1962. For many years, “GKK” was one of the most successful agencies in Switzerland. Among Gerstner’s most celebrated work is his 1963 book “Programme entwerfen” (“Designing programs”). His design collection was incorporated into the Prints and Drawings Section of the Swiss National Library in 2006. Nicolas Delaroche’s concurrent exhibition, “Constellation,” combines photographs from “First Seen” with a giant rock desert sculpture and paintings in Hangzhou under the title “The Adventures of the Coyote in China.” “First Seen,” comprising 30 private art collections from the Chinese mainland and Hong Kong, will be displayed in the main exhibition room of the Tap Seac Gallery. Visitors will be invited to admire photos through telescopes at the center of the exhibition room. This unique view allows visitors to view the works from afar physically yet close artistically. Established in 2008 in Zurich, the Yves Theiler Trio is a live band with a polished sound that resonates among contemporary jazz fans. Simply put, their unique style of music combines poise, power, and passion. The trio – Yves Theiler (composer and pianist), Luca Sisera (double bass), and Lukas Mantel (drums) – are popular performers on the jazz circuits of Switzerland and Europe. They have performed at music festivals and collaborated with musicians at home and abroad. Contemporary photography, both in China and Switzerland, is a powerful medium for storytelling. The creation of imagined realities between documentary and fiction are the focus of “Follow Me,” an exhibition exploring photographers’ multiple roles as authors and narrators whose images navigate audiences through specific stories. Ten young artists from Switzerland and China will participate in the exhibition: David FAVROD, Anne GOLAZ, KIMISA, LAU Wei, Celine LIU, Romain MADER, Virginie REBETEZ, SHI Zhen, Salvatore VITALE, ZENG Yicheng. The exhibition is presented by two co-curators – Peter PFRUNDER and SHI Hantao. Performed by the Dunshan Symphonic Wind Orchestra, Peter Pan’s Fantasy Music Paradise beckons children on an enchanting musical adventure. As part of the family concert series at the National Center for the Performing Arts, this show combines the fantasy of fairytales with timeless orchestral music. The Dunshan Symphonic Wind Orchestra is the Chinese mainland’s first and only fully privately-funded orchestra. It was conceived by Yu Tian, general manager of Dunshan China, and Swiss musician Adrian Schneider. The orchestra comprises more than 50 professional woodwind, brass, and percussion musicians whose vast international performing experience makes them esteemed entertainers. Venture leaders China is a unique 10-day business development program initiated by swissnex China and venturelab to explore the China mainland and Hong Kong potential market for Swiss startups. The objective of venture leaders is to showcase the diversity and the quality of Swiss high-tech innovation at an international level. For Swiss startups, China is a key market to explore. The venture leaders China 2017 startup companies are Astrocast, BestMile, Climeworks, Flyability, Lunaphore, Oviva, Technis, UrbanFarmers, VIU Ventures, ZuriMED. For the fourth time, the annual Pitch Contest will take place at Shanghai, in which you will have the opportunity to meet the 10 Swiss entrepreneurs and local investors. What’s more, the venture leaders are also invited to participate in Sino-Swiss Innovation Nights at Shenzhen and Hong Kong, as well as a reception at Embassy of Switzerland in China. 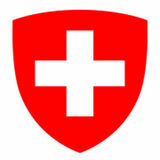 Come to meet the «Swiss National Team China»! The 13th World Harp Congress and Julie Campiche Quartet Concert 第13届世界竖琴大会和 Julie Campiche四重 The World Harp Congress is the largest world-wide harp festival. It attracts over 800 harpists from 50 countries and takes place every three years. The first of its kind in Asia, the 13th World Harp Congress, will make its debut in Hong Kong in July 2017. Featuring the harp world’s finest performers, pedagogues, academics and composers, the programmes will include a wide range of exciting events, providing a unique platform for the gatherings of harpists and industry professionals. The book written by Hanna Johansen, “queen of children’s book” in the world of German language, named “If I Were A Bird” (Wenn ich ein Vöglein wär) is to be translated and published in Taiwan in July. The book, written in 2015, takes young readers on a flight of fictional fantasy guaranteed to entertain. Hanna Johansen was born in Bremen, Germany and has been living in Zurich, Switzerland, since 1972. She started to write stories for children after 1978 and was awarded by “The Most Beautiful Picture Book in Switzerland”, “Swiss Youth Literature Award”, “Austrian Children’s Book Award”, “Best Book at Bologna International Children’s Book Fair” and others. In celebration of the 726th anniversary of the foundation of the Swiss Confederation, the Consulate General of Switzerland in Guangzhou will host a feast on the marvelous day of August 1st. Amidst lively Swiss folk band performance and diverse Swiss food, you’ll find an enjoyable and relaxing atmosphere in true Swiss style. Echoing with the theme of this year’s summer tourism in Switzerland – “Back to Nature”, a film festival with the same theme will be held in August. Audience in China will have the opportunity to enjoy the beautiful natural scenery in Switzerland through the interesting and touching Swiss film Heidi, while preparing to explore the breath-taking natural beauty in real life. Since the establishment of psychology, there is no other book like The Red Book which has experienced such long time and so many twists and turns from its start of writing until the publishing. As well, there is no other book like The Red Book which has such far-reaching impact on the history of society and thoughts in 20th century, even before its publishing. The Red Book could be regarded as the private dairy of Jung, recording his “self-experiment” during 1914 to 1930. This “book of times” full of mysteries creates a new era of fully understanding Jung’s works. It opens a unique window for people learn about how Jung has fixed his soul in the special period of time during his life, and then continues studying psychology to become a great master. The publishing of The Red Book is a milestone both for its place in Jung’s life and as a piece of art. The Red Book, written by Carl Gustav Jung, the well-known Swiss psychologist, has been published with full translation in Chinese by China Machine Press in January 2017.